Drum rhythms, neatly worked brass and ear-catching percussion brought listener surrender at West Holts Stage earlier! 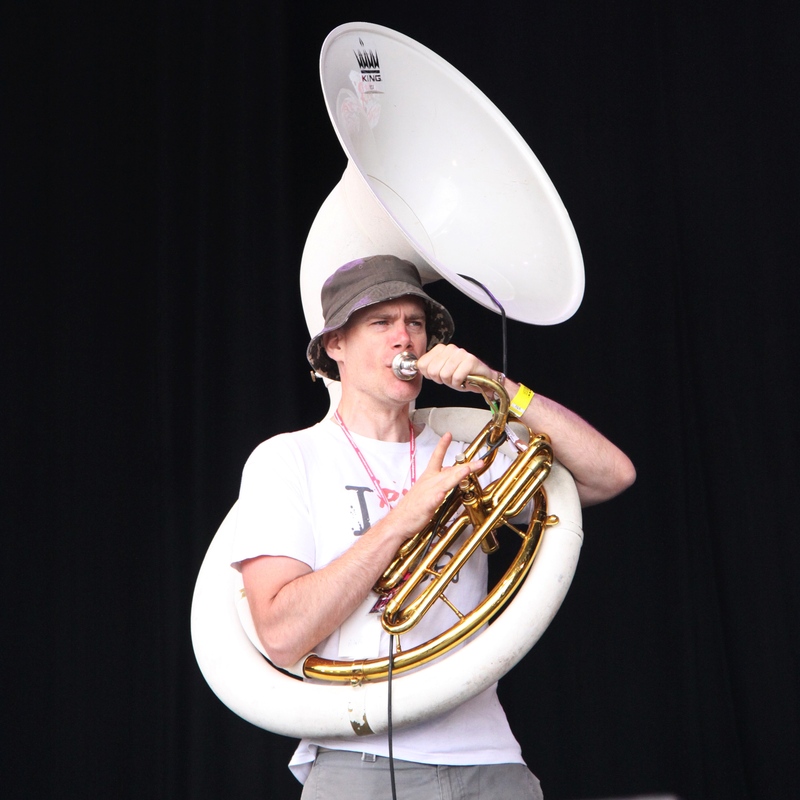 Riot Jazz were at their energetic best on the West Holts Stage, kicking off the Sunday line-up. Performing a range of original songs and jazz covers of well known hits, the West Holts Stage crowd danced and joined in with some fantastic audience participation with the band. “If I say RIOT! You say JAZZ! RIOT! JAZZ! RIOT! JAZZ!” Could be heard drifting across the West Holts field as both the crowd and MC played their part. After that, arms aloft, the crowd joined in with a Glastonbury wave (it’s basically the same as a Mexican wave, except it’s in Pilton). Riot Jazz, the perfect energy to start a Glastonbury Sunday fun-day. 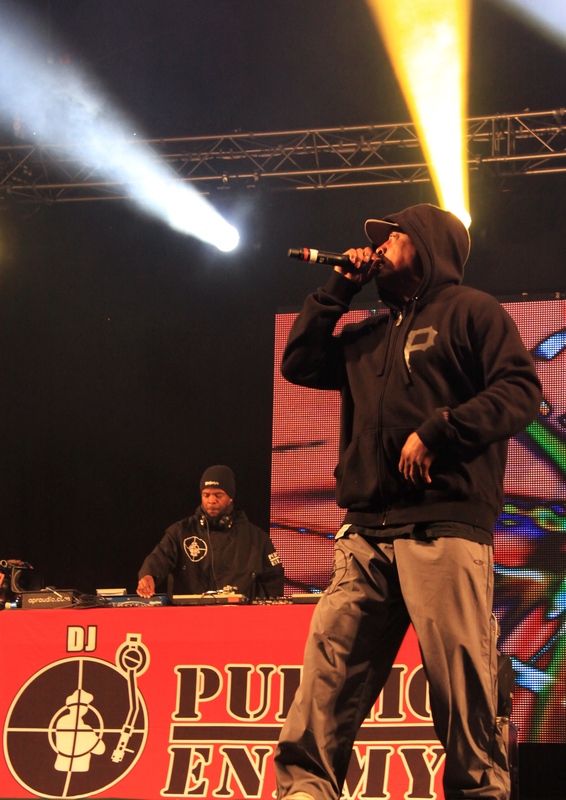 The was no sympathy for the devil as the original street fighting man of hip hop, Chuck D and the rest of Public Enemy brought the noise to West Holts Stage in a blistering set to headline Saturday’s line-up. 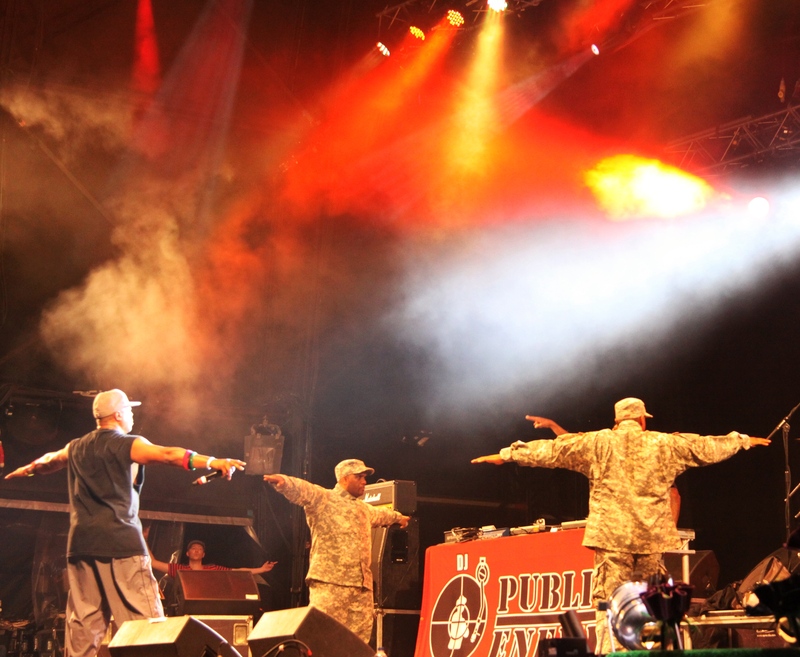 Under cover of the night and with thundering bass galloping across the West Holts field like a pack of wild horses, Public Enemy brought frenzied energy and passion to give satisfaction to the massive and devoted hip hop crowd that were bouncing, hands aloft in front of the stage. 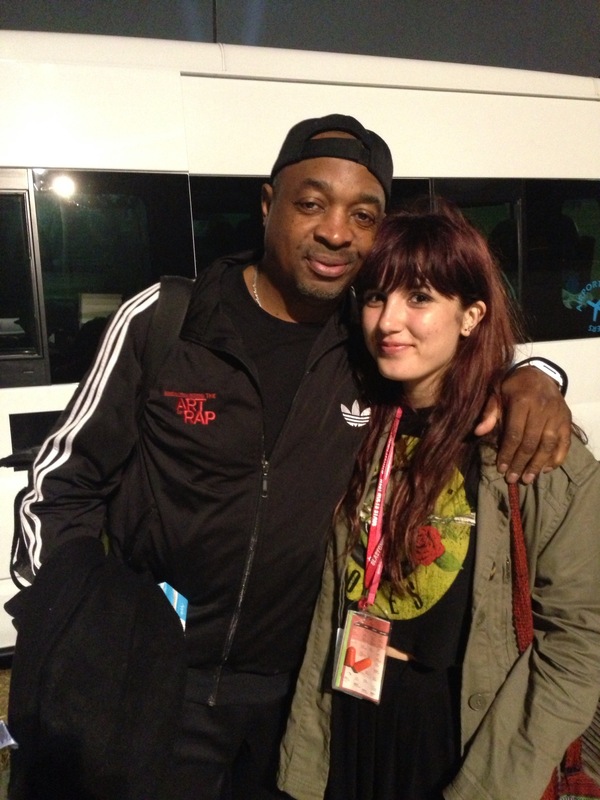 So, whilst you can’t always get what you want, there was no doom and gloom in sight as Chuck D, like an energetic jumpin jack, brought enough passion and presence to more than make up for the absence of his glimmer twins. Despite reaching their 25th anniversary, there was no sign that Public Enemy has mellowed in the slightest. 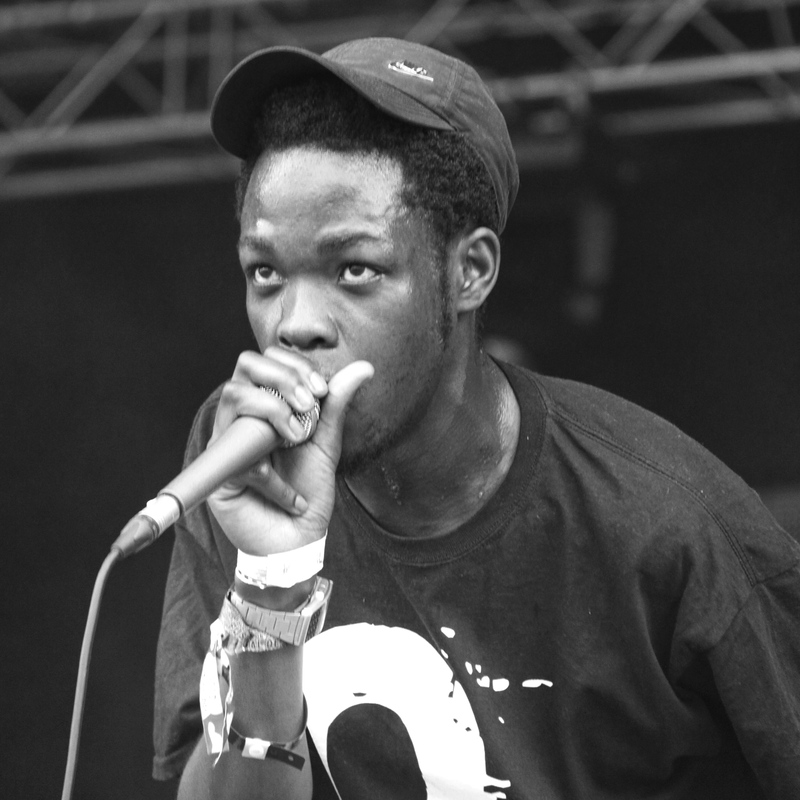 Running through hits like Don’t Believe the Hype, Bring the Noise and I Shall Not Be Moved, Chuck paid homage to hip-hop culture, from MCs to graffiti artists, including acknowledging the talent and influence of the UK on hip hop music. And speaking of talent, a special mention must go to Public Enemy’s DJ Lord who gave a frenzied performance on the decks sampling even Nirvana and AC/DC to keep the crowd jumping. And boy were they jumping as Public Enemy made a genuine connection with fans, even stopping for pictures with young and old before they left backstage. Of course, it’s all over now, but on Saturday night, the Rolling Stones of Hip Hop (Chuck D’s words) proved they’re worthy of their status in the Rock n’ Roll hall of fame. 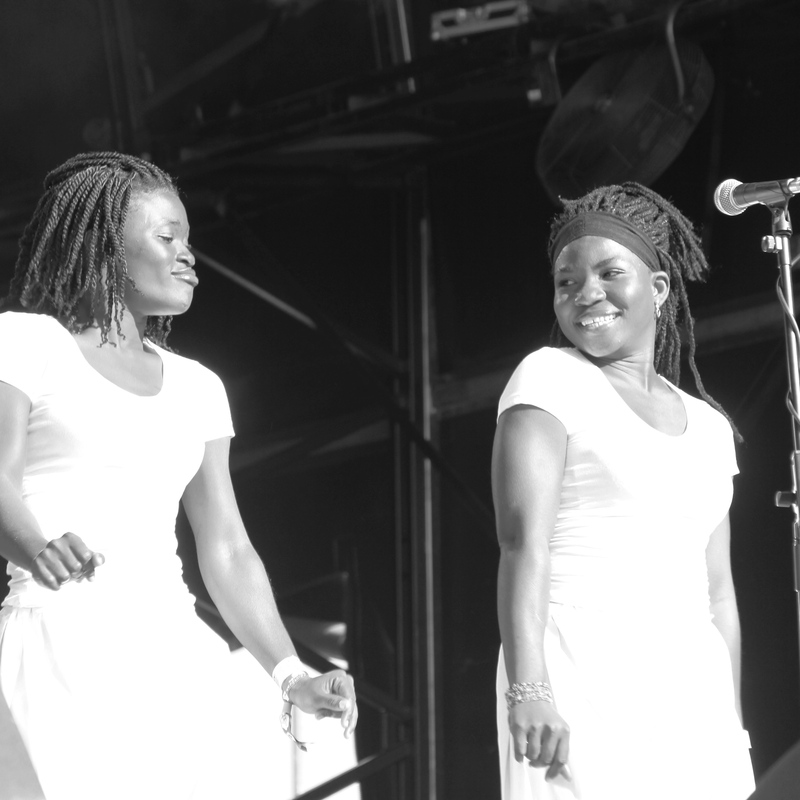 Kakatsitsi have established themselves as the leading African traditional group in the UK joined the the Orb for a debut live performance on the West Holts Stage. The transient beats of the Orb were mixed with African voices and rhythms to create a unique vibe that brought out some rather creative dancing from members of the crowd. 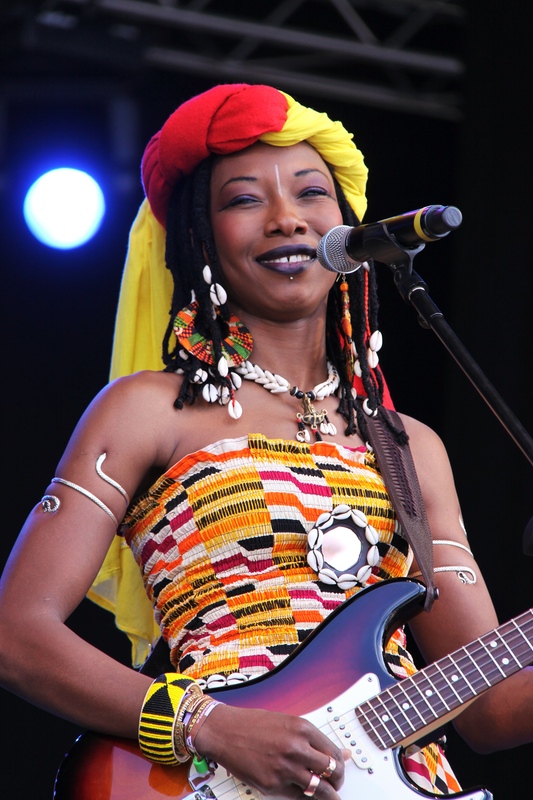 At West Holts on Saturday, Fatoumata Diawara showcased her distinctive and melodic voice. Often heard singing in her native Bambara tongue, she was accompanied by simple acoustic guitar, traditional western rock guitars bass and drums. 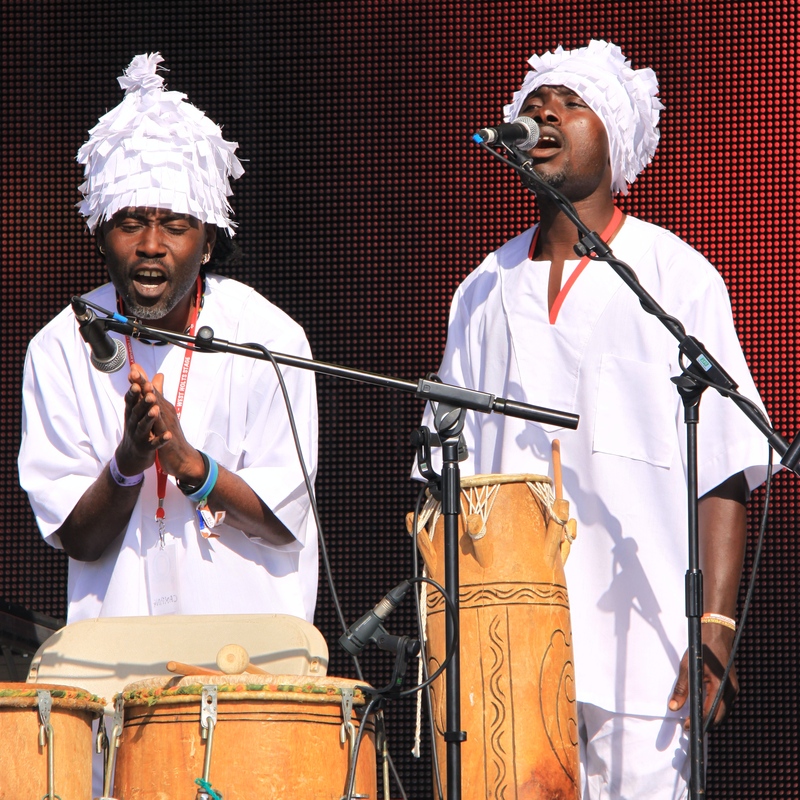 The result was a stylish and sophisticated performance with a distinctive, West African influenced, worldly sound. 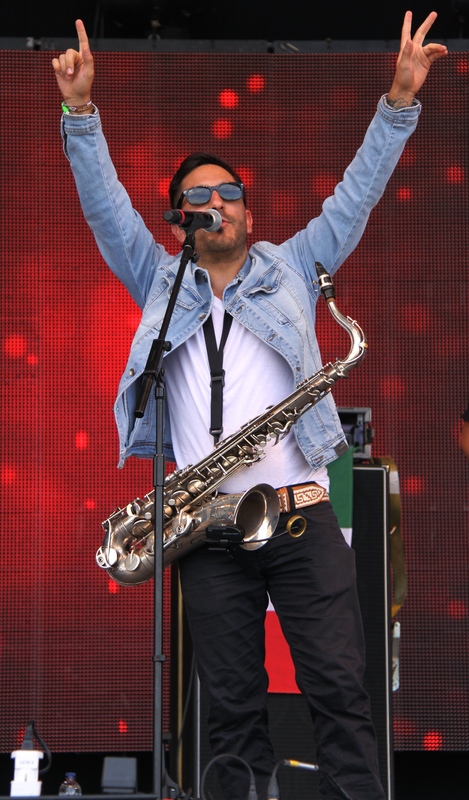 After tearing it up at the West Holts backstage post Chic party last night, Mexican band Troker brought the same party mood to the main West Holts Stage to kick off Saturday’s line-up. 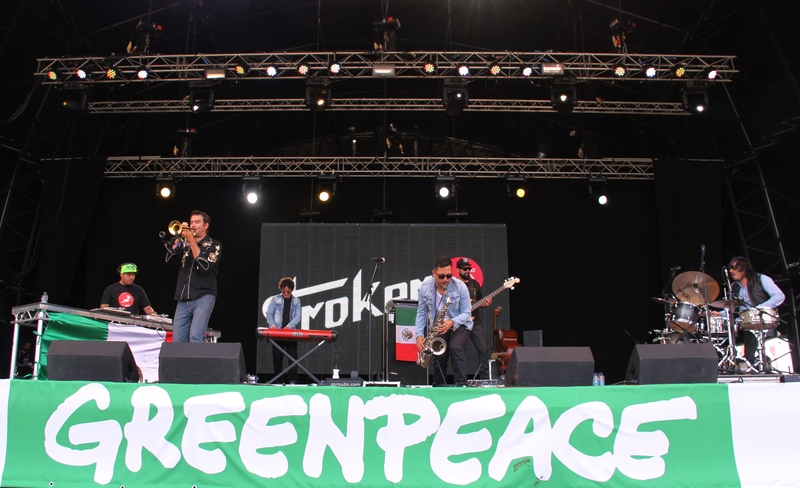 Troker combined funk, jazz, rock and even cumbia to produce an unbridled and continuous surge of energy on stage that gave festival goers, with some still trying to recover from last night, no choice but to get back on their feet dancing and shimmying to the music! Viva Mexico! Viva Troker! 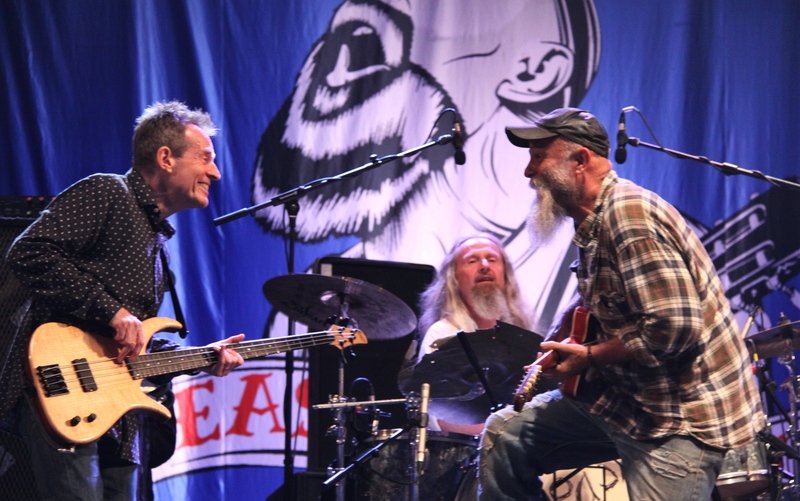 Last night the West Holts field was grooving to the 12 bar blues of Seasick Steve. Famous for his customized guitars, Seasick Steve was seen playing two hubcaps attached to something he found in his garden to blast out some tunes. 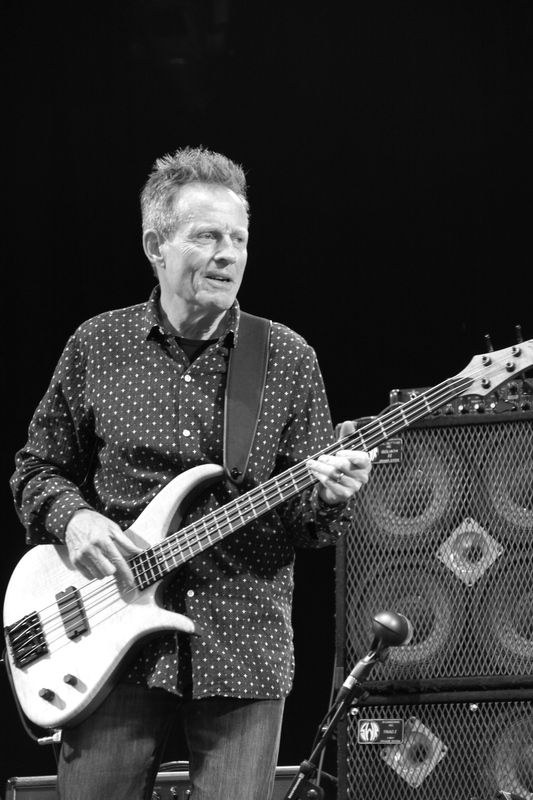 He was joined on stage for most of his set by the legendary bass guitarist from Led Zeppelin, John-Paul Jones! Those close to the front of the stage might also have caught a glimpse of Radiohead’s Tom Yorke who was also watching Seasick Steve from backstage.